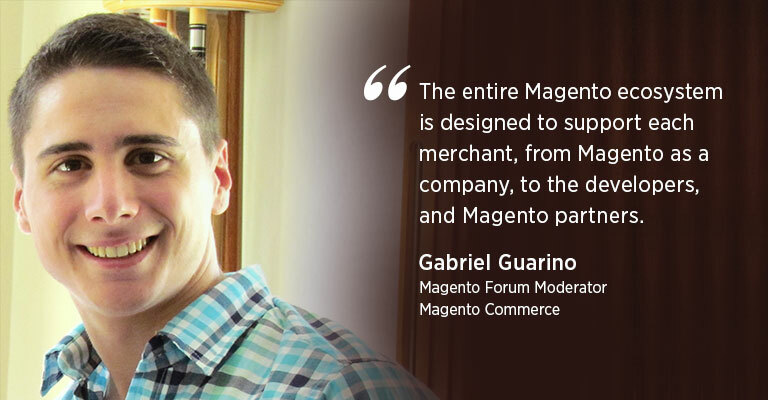 Joining us today is another Magento man, Gabriel Guarino. He is a Magento Certified Developer with more than seven years of experience in the platform. Overall, he has 11+ years of experience working as a web developer. Gabriel is currently a moderator in the Magento Forums. So without further ado, let’s start the interview. Muneeb: Gabriel Guarino, you are currently a Magento Forum Moderator at Magento Commerce. With such vast experience in the field, could you please share some highlights of your career with our readers? Gabriel: When you choose “Web Development” as a career, you realize the universe of concepts and technologies that are involved in that field. Most people focus on a specific technology for a given period, and then they move to another technology, and they spend their time doing different things. I knew that focusing on one platform was the right thing to do. I wanted to be an expert in Magento, and that is why I’ve been focused on the platform for more than seven years. I have worked with almost every version of Magento and all the available editions. One of the most important projects I worked on was a Magento Enterprise edition multi-store that is currently available in 5 different countries. Besides that, I enjoy working with the Magento API, and I’ve worked on the integration of the most important email marketing tool in Latin America (Doppler), and recently an API integration for Magento 2. Muneeb: What differentiates Magento from other ecommerce platforms? How would you describe your relationship with the ecommerce environment and Magento? Gabriel: That is an excellent question. Magento is always asking for feedback from the community including developers, merchants, and Magento Partners. That is a critical aspect that helps shape the Magento platform. One of the challenges of Magento 1 was the documentation. To resolve that, Magento created the Magento DevDocs. They communicate with the community, and it is crucial that they give their feedback. And the most important aspect of it is that Magento listens and take appropriate actions based on the feedback they receive. I have had several meetings with the Magento team in 2016 to give them constructive feedback. For example, when they were working on the Magento DevDocs redesign, I provided my assessment, and they listened to my opinions. When they were working on the Magento DevBox (the beta was released this week), I had a meeting with them and made suggestions yet again. It feels great to be able to give your feedback, and it feels even better when you see that they take action and work hard on improving the product based on it. Muneeb: You have several Magento certifications. When did you realize that these certifications can give you an edge in the Magento industry? Please tell our readers the importance of these certifications. Gabriel: By taking the exams, you can see if there are concepts that you need to learn or areas that you have to improve on. The preparation for the exams take you on a different level, and passing the exam is a good indication that you are on the right track as a developer and specialist. I am looking forward to the Magento 2 certifications, and I will be glad to take the exam to see if all the experience I had with Magento 2 up to this moment covers most areas that need to be in my knowledge or if I should continue studying and prepare myself even further. Muneeb: You are a keynote speaker at Magento events. How important do you think are these events? Gabriel: The events are really important. You can discuss with people in the Magento community and learn more from every speaker in the event. Every speaker works hard to prepare their presentation, and it’s a privilege to be able to see that person delivering the content for the presentation. Gabriel: My advice is that using Magento for their ecommerce store is the best choice they can make. The entire Magento ecosystem is designed to support each merchant, from Magento as a company, to the developers, and Magento partners. The merchants even have a marketplace with extensions to add new features to their Magento store, and the Magento Forums to receive feedback from the community. Muneeb: Magento is a powerful and complex ecommerce platform. What advice do you want to give to our readers about learning Magento? What would be your advice for Magento newbies? Gabriel: My best advice is that they can learn what they need to about Magento 2 from the Magento DevDocs. The DevDocs are organized in a way that you can read and learn everything related to your role. If you go to the Magento DevDocs website , you will see that all the content is organized depending on your interest in Magento. If you are a front-end developer, then you will go through the pages on the Front-End section. If you are back-end developer, you can go through the Development and API sections. Finally, if you are a system administrator, you can review the “Setup and Deployment” section. Muneeb: You are a highly skilled Magento Man with a busy schedule. Please tell our readers about your typical day at work? And how do you manage your work-life balance? Gabriel: My routine starts early in the day when I go through the emails I have received in the last 24 hours. Then I focus on the most difficult tasks in the morning, and I schedule simpler tasks for the afternoon. I find this to be the best way for me to complete all the tasks for the day. I go through the Magento Forums during the day, and I also participate in Twitter conversation and engagements. I read the content that has been shared in the #realmagento hashtag to stay up-to-date with the latest news from the community. I go to the GYM at the end of the day to exercise every weekday and maintain a good balance between work and a healthy lifestyle. Muneeb: What do you like the most about your job? 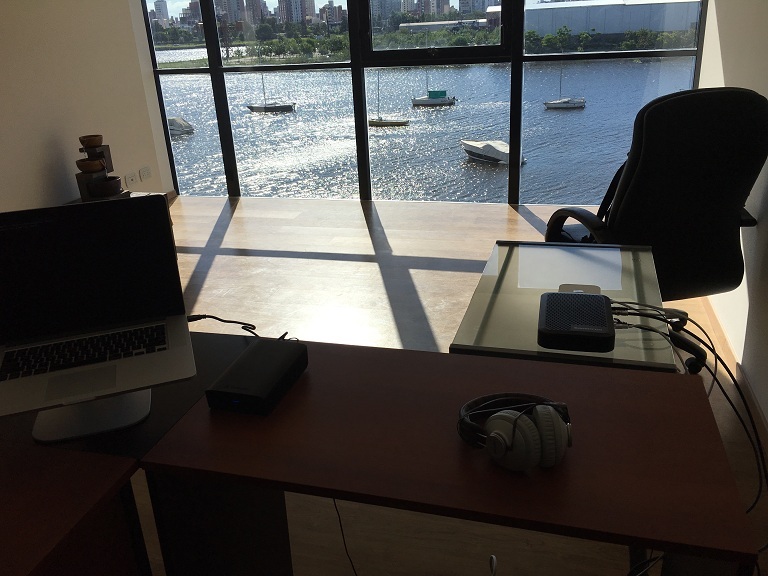 What makes your office so special to you, and can you share a picture of your workplace? Gabriel: I love being able to help my clients and the Magento community with the knowledge and experience I have in Magento. Muneeb: How do you spend your spare time? Do you like playing games, watching movies, or hanging out with friends and family? Gabriel: I try to spend time with my family as much as I can. When I am not with my family, I dedicate time to myself to continue learning and improving as a person and as a professional. Muneeb: Name some people who have inspired you in your personal and professional life. Gabriel: My grandfather has inspired me immensely. He came from Italy in the 50’s with nothing in his pocket, and he was able to raise a family, find a profession in a different continent, learn a new language, and build his house. In those times they didn’t have Skype or Facebook or anything like that, so moving from one continent to another was a hard thing to do considering that all his family was in Italy. When you think about the kind of effort he put in and the struggle he put up with, you are inspired to be strong and overcome all the challenges that you face in life. Gabriel: I would like Brent W. Peterson to be interviewed. You already know Brent. He is a leader and one of the most influential individuals in the Magento community, and it will be fascinating to read his opinion about each aspect of his career and the Magento community.